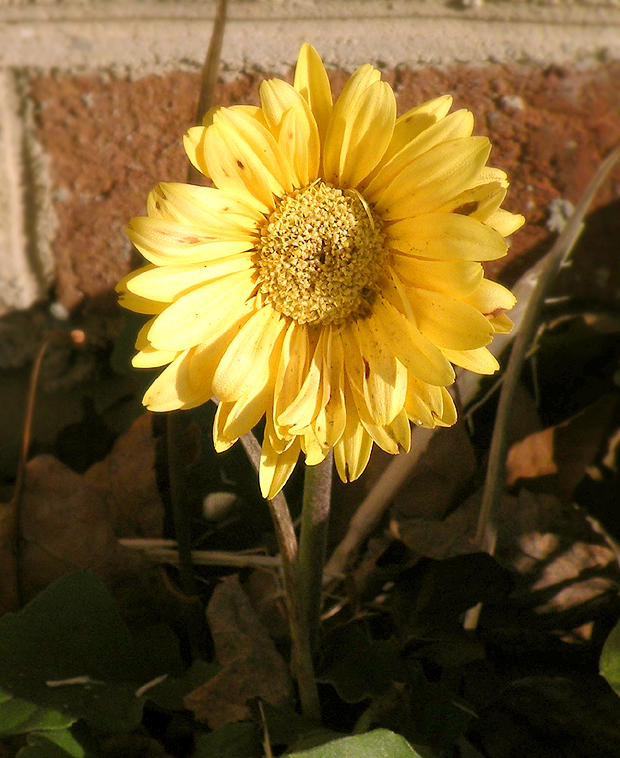 One day about a month ago, I noticed one Gerber Daisy in my front garden in full bloom. I was surprised because the trees had already lost their leaves and autumn was quickly changing into winter. Why was a daisy in bloom? I attributed it to the fact that we have had unseasonably warm weather in the Washington DC area this fall and pre-winter time period. That being said, we did have some very cold nights with temperatures decreasing below freezing with layers of frost encrusting car windshields. I was surprised that the daisy was still there to greet me every morning with a happy yellow face as if to say that she doesn’t care what season it is, she is still here! I have grown to look forward to seeing my beaming flowery friend every day as if she is a reminder to me that regardless of what is going on around me in the world or how people think I should react to outside elements, I can overcome anything that is thrown my way. If this tough little daisy is capable of surviving below freezing temperatures, 20 mph winds and morning frost, I can defeat anything difficult I may encounter as well. I think I am going to dig up my daisy friend and bring her inside so she is protected over the snowy winter months and she can bloom once again in the warmer weather. 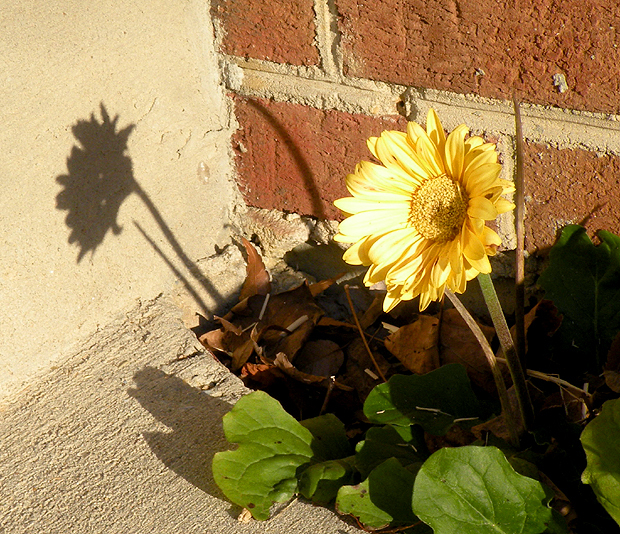 This entry was posted in Everything and tagged flowers, gerber daisy, Gina Tepper, yellow daisy. Bookmark the permalink.